Hard to believe that I was dropping in here back in Spring – but I’m delighted to be finally getting around to posting this now! 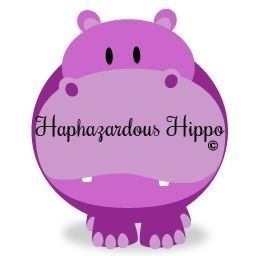 The Haphazardous Hippo – aka Neats – a true book worm, one of the nicest – was good enough to come on board for the blog tour for Secrets We Keep! She featured an excerpt and review and I was so delighted that she enjoyed it! Having ‘seen’ author Faith Hogan around on Twitter and various bookish Facebook groups I was thrilled when she asked me to be a part of the blog tour for her latest novel Secrets We Keep. Not only have I got a review for you all but you can whet your appetite with an excerpt as well! So let’s get to it! It was nine o’clock before Kate set off walking towards the keep. It was hard to believe she had spent one precious week here already. Lyndon Tansey told her to take as long as she needed. Maybe he knew, maybe they all knew. Maybe everything she bottled up for the last decade had been blatantly obvious to the people around her while she remained blind to it. She had her heart broken long enough ago for her to have moved on. The public humiliation was harder to shake. Bad enough to be jilted at the last minute. It seemed to Kate that being reminded of it each time her ex-fiancé’s love life featured in the celebrity gossip columns made it into an ongoing nightmare from which there was no escape. Other people unfriended their exes on Facebook and cut their photos in half. That was not so easy when your ex was in the national newspaper every other week. ‘The important thing is that you come back safe and sound, old girl,’ Lyndon had said, patting her hand with sincerity. He had taken the helm of the law firm when he was almost fifty. He was old enough to have learned from the mistakes of others and he knew when someone was worth holding onto. Kate had raked in millions over the last decade for the practice. She had represented the spouses of rock stars, royalty and the ridiculously rich and managed to pull hefty and healthy settlements every time. People knew her in the divorce courts by reputation, and if they did not fear her exactly, they advised their clients that she was particularly adept in aspects of family law. She looked around her now. This place with its vastness and intimacy cuckolded into the cold of the climate mixed with the warmth of the people, it was just what she needed. It was a five-mile round trip to the bathhouse and the keep, which would bring her along a track kept clean by a scurrilous pack of sheep and goats. She drank in the clean air greedily; the only sound here was the crashing of water to her right and the call of the gulls across the empty strand to her left. She walked slowly, surveying from her high middle ground the austere beauty of the place at this time of year. She stopped and sat on a rock that seemed to have moulded into her shape long before she ever knew she would be coming here. She knew now that she would come here again, it was as sure as the air she breathed. Perhaps this was the first step on that crossroads. In the distance, she watched as a middle-aged woman made her way across the strand. Even from here, she recognized her. She saw her many times walk through the town, always with a shopping bag in her hand, sometimes wheeling one behind her. Today, she was making her way energetically with a yapping dog in her wake. Her face was puce despite the cold that must surely be biting into her. She rounded towards the ridge where Kate sat and stopped short as she neared her, surprised to see anyone out on such a cold day. ‘Hi.’ Kate did her best to smile, remembering that she was not in London now. It was okay to make eye contact; people here wanted you to talk to them. ‘Your dog doesn’t seem to mind,’ Kate watched as the little black and white terrier skipped out after the tide and then scudded back towards them as each new wave arrived. He was yapping happily, enjoying the chase of something he’d never catch. ‘Ah, Barry. Yes, I got him from the rescue – best thing I ever did. I wanted one for years, but you know, you need to put the time into a dog and my Duncan is allergic to anything with a coat, so…’ the woman smiled enigmatically as if his discomfort might actually please her in some odd way. The dog, as though he heard his mistress, came running across the beach towards them, digging up sand as he came. ‘You’re a super little fella,’ Kate said and she rubbed his head affectionately as Barry licked her fingers and danced a greeting frenzy up around them. ‘No, I suppose not,’ Kate said, thinking of the unfortunate allergic husband upon whom he’d been foisted. Kate is a very successful divorce lawyer living in London who has become disenchanted with her life for various reasons. Meeting her Great Aunt Iris at a family funeral gives Kate the perfect opportunity to get away from her lonely life in London and take stock in the quiet village of Ballytokeep in Ireland. Staying with Iris and Archie in their guest house Kate falls in love with the nearby abandoned Bath House and decides that Ballytokeep is somewhere she could relocate to and start a new more relaxed life and put her past well and truly behind her. But Kate isn’t the only one who is trying to forget the past, Iris also has skeletons in her cupboard but are they as hidden as she thinks they are? I’m a huge fan of dual time-frame novels and Secrets We Keep is no exception. I loved the way that the story hopped from Kate’s to Iris’ stories seamlessly, without detracting from the story and keeping my interest right from the very start. I usually find that when I read this type of book I find myself leaning towards one time frame over the other, but it’s a testament to Faith Hogan’s writing that I was completely engaged by both in this book. Iris and Archie’s story was so beautifully told, from when they first met back in the 1950’s, their highs and lows but it was the present day that brought a tear to my eye as we realise that Archie is suffering from memory loss and Iris is reluctant to face the truth. Kate was a delightful change to the usually downtrodden heroines of this type of novel. She’s such a strong character who knows her own mind and what I wouldn’t have given to have sat with her as she watched the sun go down outside the Bath House. The other thing that I enjoyed about this book was the descriptions of Ballytokeep itself. Right by the sea with rugged cliffs, quaint tea shops and friendly locals I was disappointed to find out that it was a fictional place but I’ve heard that there are real places just like this in Ireland so I think one of them could be a future holiday destination for me. 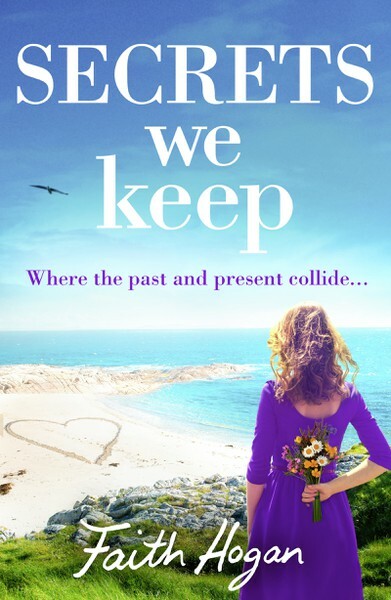 Secrets We Keep is a wonderful tale of family, friendship,hope, love and second chances and one that will warm your heart.